WHAT: The University of Missouri Libraries and Chancellor’s Diversity Initiative will host a ribbon-cutting ceremony for the installation of a Martin Luther King, Jr. Memorial Replica statue on the MU campus. The statue will be featured permanently in MU’s Ellis Library. Ty Christian presented the statue replica to MU at the 2012 Martin Luther King Day, Jr. event. Christian, a 1977 graduate of MU, served as chief marketing strategist on the Martin Luther King, Jr. National Memorial Project Foundation. Under Christian’s marketing leadership, the Foundation raised $120 million. Christian has received numerous awards for his achievements in advertising and public relations. 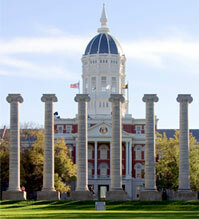 In 2004, he received the Distinguished Alumnus Award from the Mizzou Alumni association. Through the Chancellor’s Diversity Initiative, MU constantly strives to become a more inclusive, creative and innovative learning and research environment with the ultimate goal to facilitate the competent functioning of students, faculty, staff and administrators in a diverse and competitive global society. The MU libraries serve more than 32,000 students and 1,800 faculty members with a collection of 3.1 million print volumes, 53,400 journal titles (in print or online), and more than 7.5 million microforms. With an annual budget of $16.8 million, the libraries support the instruction, research, service and economic development missions of the University of Missouri. WHO: Ty Christian, former chief marketing strategist, Martin Luther King, Jr. National Memorial Project Foundation, and statue replica donor. WHERE: 2 p.m. – 3:30 p.m., Tuesday, Jan. 29. NOTE: The ribbon cutting is open to the public.